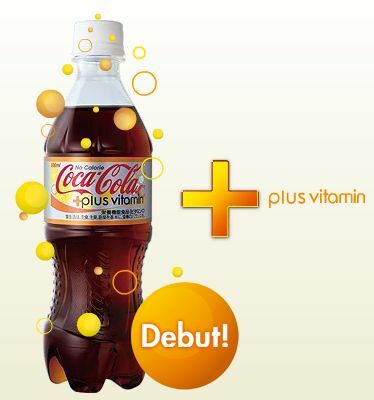 Coca-Cola Japan has just released Plus Vitamin in Japan. They already have the no calorie Coke Zero, and this is the vitamin infused version. But don’t we already have this in the states? Actually, for once we got something before the ever experimental Japanese market. Here in America, we have Diet Coke Plus, which basically is the same thing. Did you know that vitamin infused cokes gets their unique flavor, and many of their vitamins from Green Tea? Something I believe will help the product do well in Japan. With the Japanese society becoming obsessed with weight, and “metabo“, these healthy looking, vitamin infused drinks will become increasingly popular. Via Japundit.